The spring rummage sale is Friday, May 10 and Saturday, May 11. Volunteers are needed and welcome, both men and women. 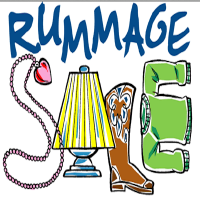 If you can help during rummage set up week or on the days of the sale contact Sue Swenor – swenor22@yahoo.com or just show up! Your baked goods are needed for our famous Calorie Counter concession. They need to be delivered to Fellowship Hall on Thursday evening, May 9, (a convenient time for choir members) or on Friday morning, May 10, or Saturday morning, May 11. Thank you in advance for your continued support. We cannot do this without the support of the full church.